So, mums out there, who remembers their first period? Do you remember where your were, if your were prepared, if it caught you by surprise and who was there for you to talk to about it? I remember mine, and I remember it was a Sunday, and I was 11, and feeling grateful I wasn’t at school when it happened. I was prepared to the point that I knew what periods were, why we have them and sort of knew what to expect. I had a small stash of sanitary towels and so I guess I was also reasonably well prepared from that point of view. I do feel though, looking back, that there wasn’t enough discussion about it and I was sort of left to get on with it and make it up as I went along. Like lots of mums out there, I’m always striving to ensure my daughter has a better experience of such things. It’s one of parenthood’s most anticipated-yet-feared moments: your daughter starting their first period. What are some tips and tricks for ensuring that they have the best experience possible? Despite the attempts to be regarded as something positive, and a sign of growing up, my memory was not that periods represented an exciting time, they were not widely discussed, they were sniggered about by boys at school and for me they were a total pain, as most of my time was spent either at the stables, riding or doing dancing and gymnastics. I’m very aware that I’ve spent the bulk of my life with that attitude towards periods, however, I’ve equally never let them stop me doing anything. Be as positive as you can be when discussing periods with your daughter, although I did have a friend who was bed-ridden for the first two days of every period she had, the bulk of us were not and we got on with life as we normally did. The earlier the better I think with girls when it comes to discussing periods. You don’t have to go right in with the full details aged 5 or anything but making things normal and not scary is a must I think, and that goes for boys too – just because these changes don’t happen to them, doesn’t mean they don’t need to know about it. Growing up with accurate information about how the body changes is crucial I think. First periods can be erratic and unpredictable. They can catch you out of blue and if you aren’t prepared it can be a negative experience and something you then worry about every month. Mishaps and leaks happen to everyone, but being prepared can help for the bulk of the time. Allow your children to ask questions and be available to answer those. If you don’t know the answer, tell them you will find out and ACTUALLY do that as soon as you can. Being open and honest is a massive help to everyone in the long run. Why not help your daughter prepare for her first period by making her a kit. A sort of ‘welcome to puberty’ kit with skincare products, sanitary products, deodorant, new bras or crop tops and a few treats? It makes it a really positive experience and shows her you know and understand what she’s going to go through. You can of course make one up yourself, but if you’d like your daughter to receive something on a regular basis, you could try Betty Box. Each box is £12.99 (postage is free) but if you sign up for three or six months the price comes down. Each box can be customised for the sanitary products you want to receive, either pads or tampons, or a mixture if that’s your preference. You can even pick the particular product from a selection, depending on how heavy your periods tend to be. 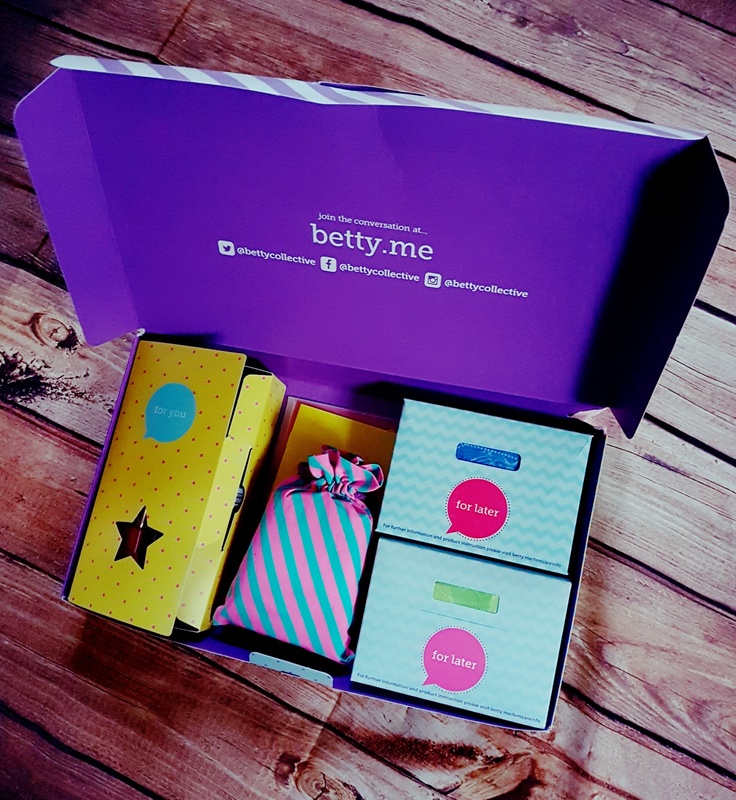 The best bit though…each box also comes with the latest beauty must-haves and something tasty to nibble on, just what a girl wants – I think I’d have looked forward to my period a bit more if I got one of these every month! 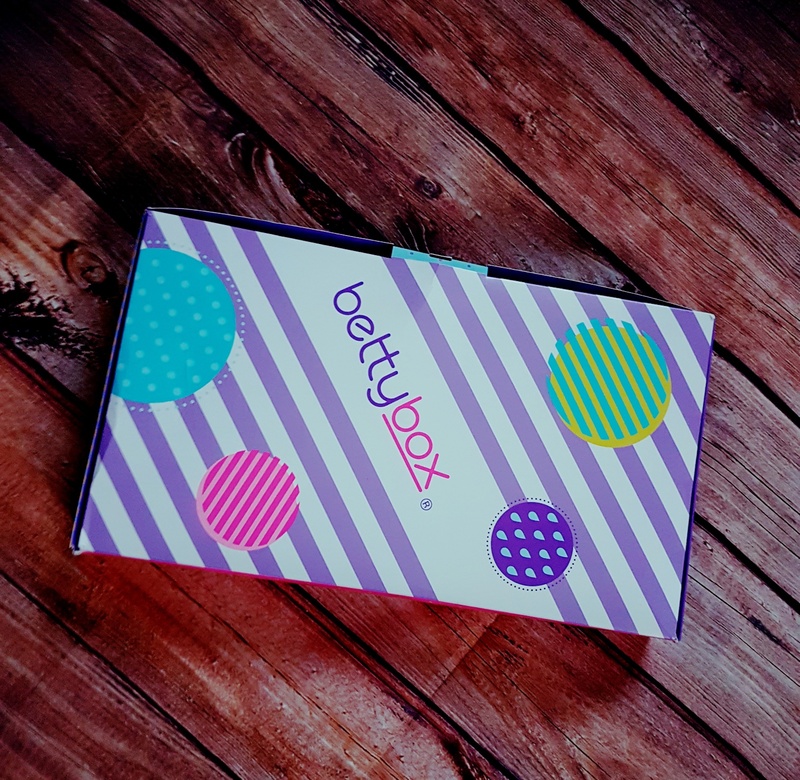 If you use code BB20 you can get a discount of 20% off their first box when they sign up to betty box, a fantastic offer for all! Having something like Betty Box popping through the letter box one a month means your daughter always has a stash of what she needs, combined of course with some lovely goodies too. Make sure you discuss your daughters’ needs moving forward – it’s awful not to have what you need to hand. I remember feeling embarrassed having to ask for more pads and tampons when I ran out. You can avoid this by keeping communication lines open and just making whatever products your daughter is using a regular feature on your shopping list.